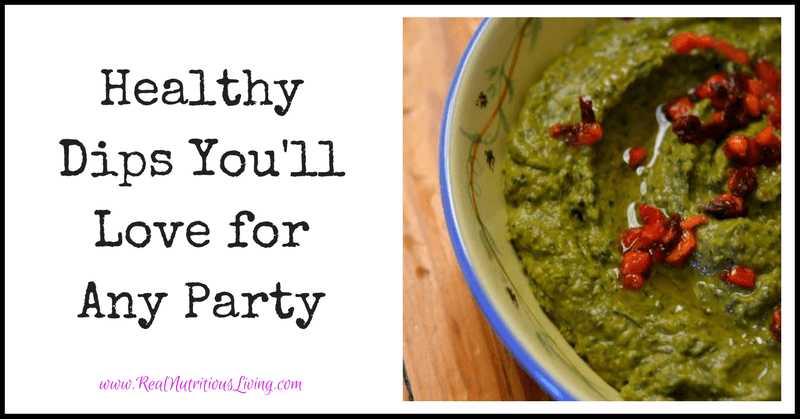 It seems like there’s always a holiday or occasion that requires party food. 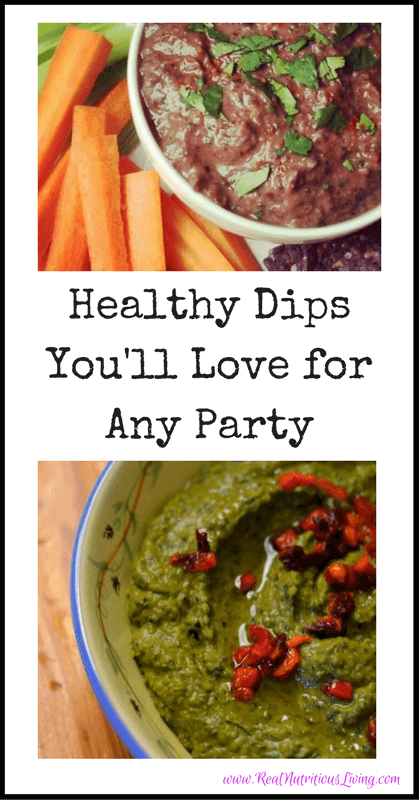 Fill up, please the crowd and keep your waistline in check with these party dips you’ll love for any occasion. Rinse chickpeas and place into food processor. Add salt, tahini, water, oil and blend until very smooth. Remove and discard tough stems from kale. Steam until tender and bright green, shock under cool water, and then squeeze as much water out as possible. Place in kale processor with sundried tomatoes. I have used raw kale and just blend a bit longer. Place in kale processor with sundried tomatoes. I have used raw kale and just blend a bit longer. Gently pulse until ingredients are well combined, but you can still see chunks of kale and tomatoes. Serve immediately or refrigerate. This is wonderful on top of grilled bread as a snack or meal! 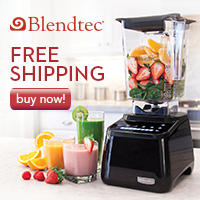 Blend all ingredients to desired consistency and serve! I love this wrapped in a tortilla with greens for lunch or as a quick dip when I have hungry guests. I recommend using as many organic ingredients as possible for optimal taste and nutrition. I recommend Muir Glen fire roasted organic tomatoes. They have great flavor and are in a BPA free can. I recommend Eden Organic beans be used in these recipes. They are soaked, cooked in kombu and also come in a BPA free can.